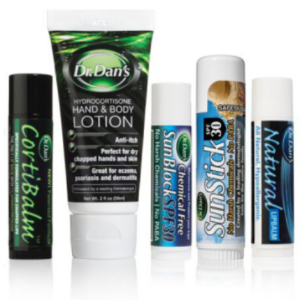 Dr. Dan’s SunBlock SPF30 protects your lips and helps to keep them soft all at the same time. It contains all hypoallergenic ingredients that limit the chemical irritation produced by other sun blocking lip balms. Protect your lips from the harmful rays of the sun and the side effects of sun burn and cancer by using Dr. Dan’s SunBlock SPF30. It took us years to perfect this formula and we are so sure that it will protect your lips from the harshest rays that we offer a 100% money back guarantee! 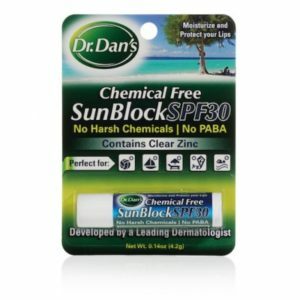 How can Dr. Dan’s Chemical-Free Sunblock SPF30 help me? The sun emits radiation in the form of ultraviolet light. The most common rays are UVB and UVA. Both of these rays produce suntan. UVA produces a cosmetic tan that is short lived. UVB produces a longer lasting tan. Both UVB and UVA can cause damage to your skin but UVB causes sunburn and changes to your skin that can cause cancer. UVA rays do not cause sunburn but can cause skin cancers just as UVB rays do. All sunscreens contain ingredients to block the sun’s UV rays. The amount of protection is indicated by a Sun Protection Factor (SPF). 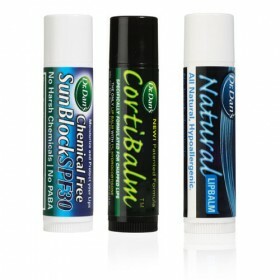 Dermatologists recommend an SPF of 30 or above for an effective sun blocking lip balm. Most lip SPF’s contain either Oxybenzone or some sort of Octisalates. It is well known that these chemicals may cause allergic reactions, (Fisher’s Contact Dermatitis, Fourth Edition chapter 23), and make your lips much worse. 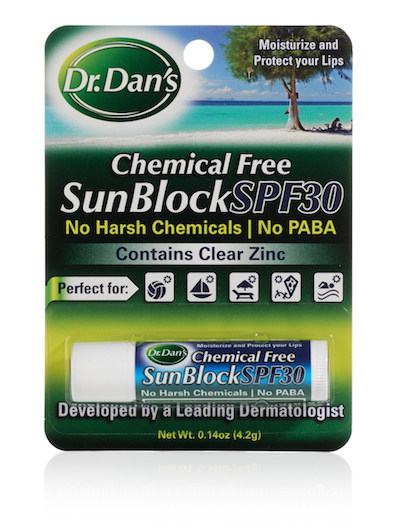 Dr. Dan’s SunBlock SPF30 has no such chemicals; instead we use two natural, inert minerals called Titanium dioxide and Zinc Dioxide. These minerals act like tiny mirrors and reflect the UV rays back away from you lips. These tiny protectors are slightly white, which is why Dr. Dan says “if your lips are a little white, they will be alright!” In addition, our natural yellow wax and chemical-free base with the antioxidant Vitamin E combine to create the perfect moisturizing combination.